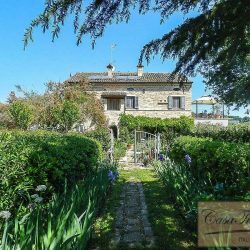 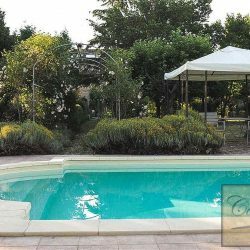 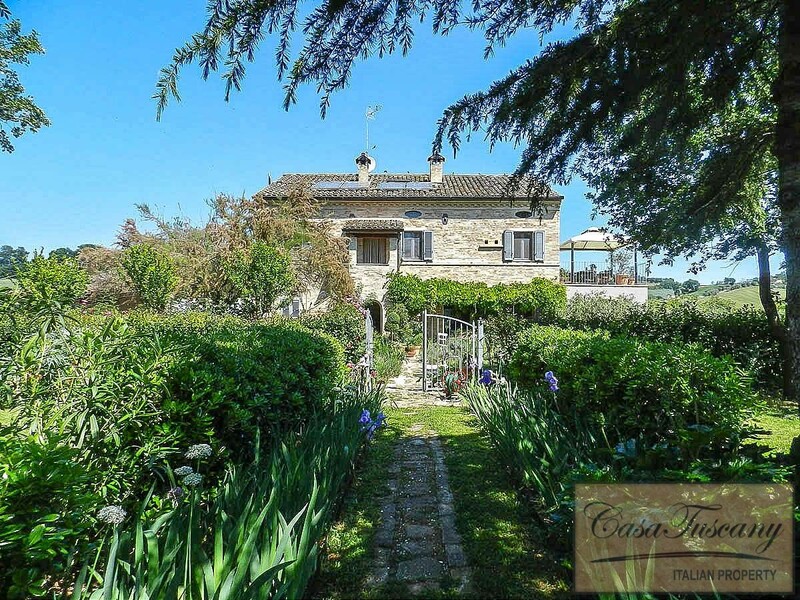 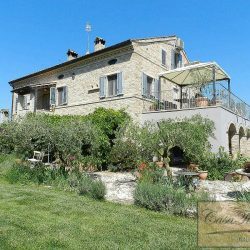 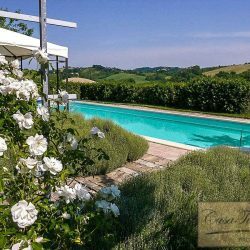 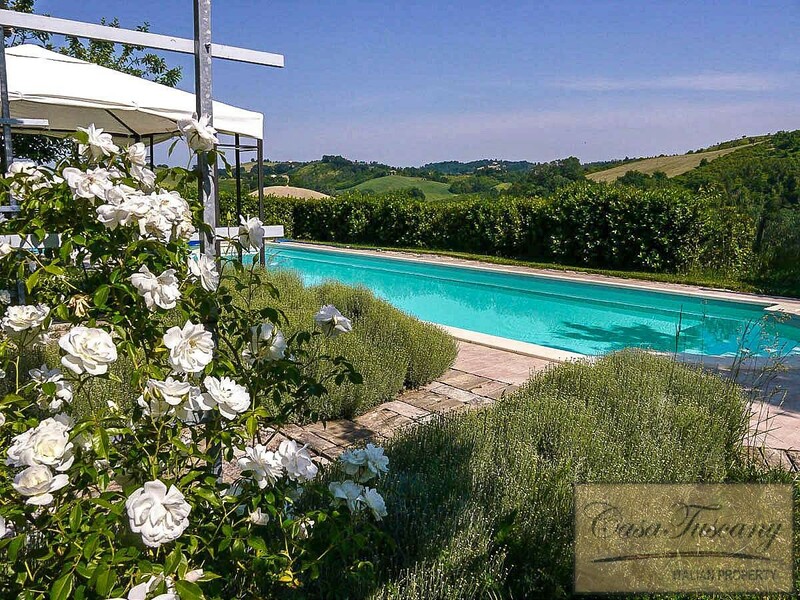 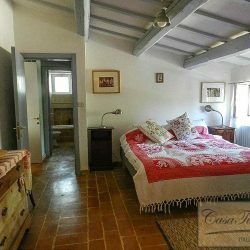 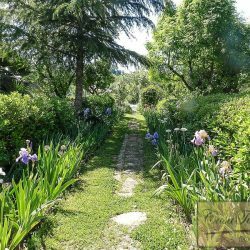 Lovely restored 6 bedroom farmhouse divided into 2 apartments with a wonderful rose garden and pool near the historic town of Belmonte Piceno. 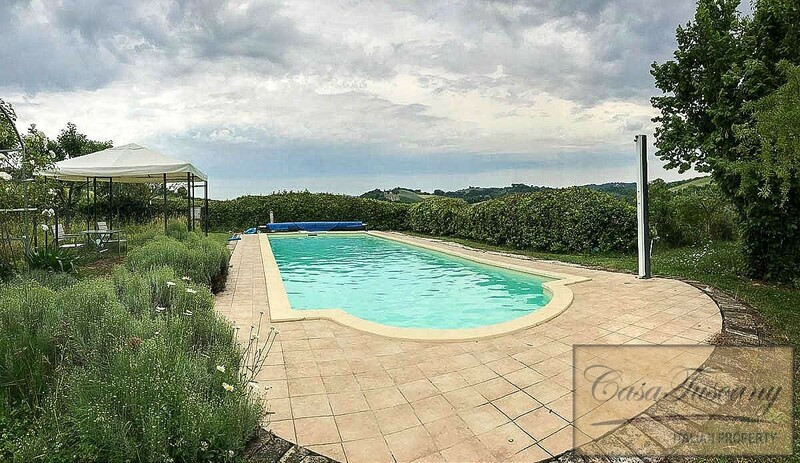 Farmhouse with Pool. 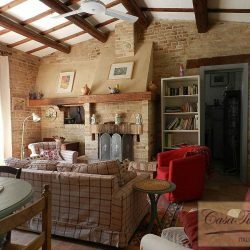 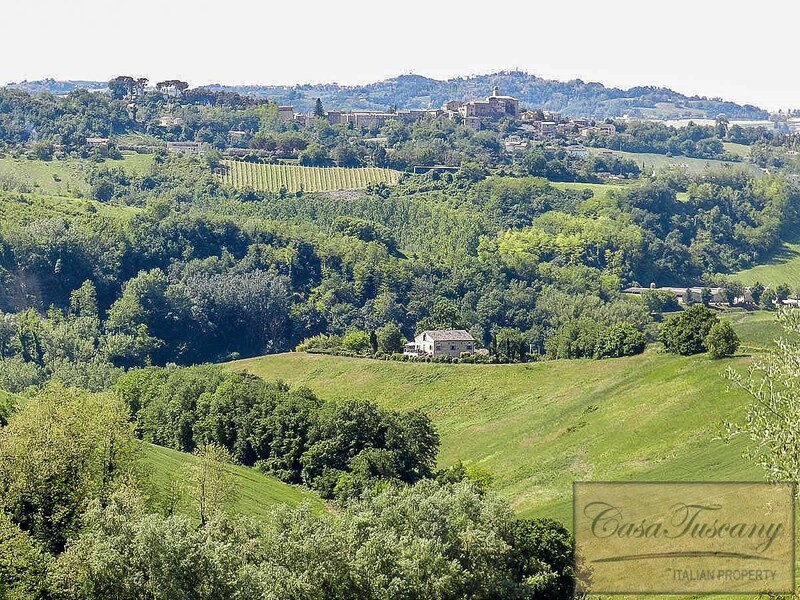 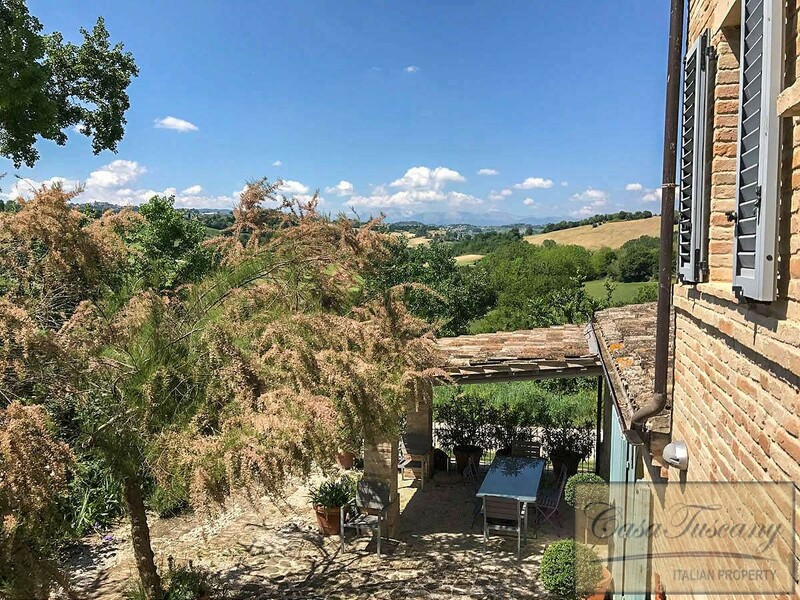 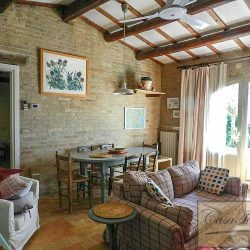 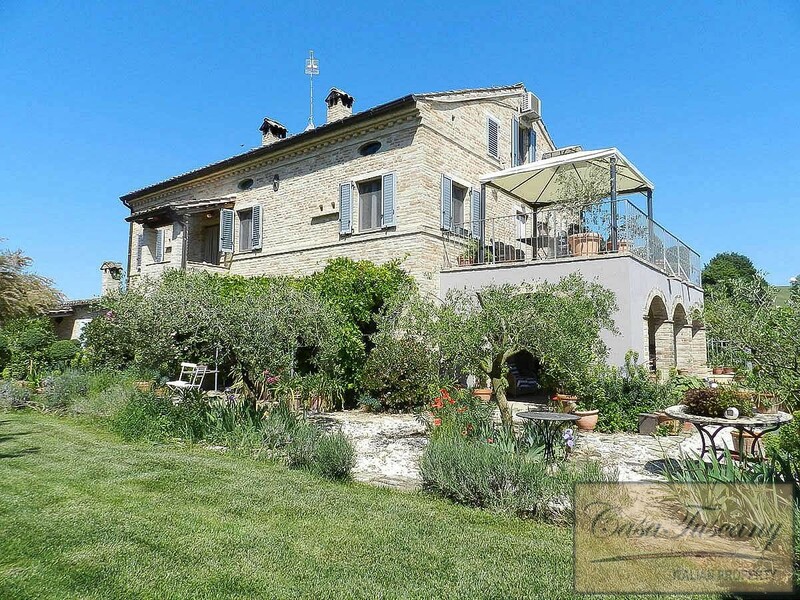 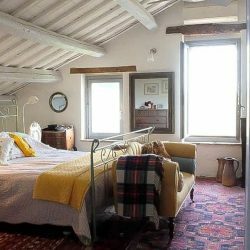 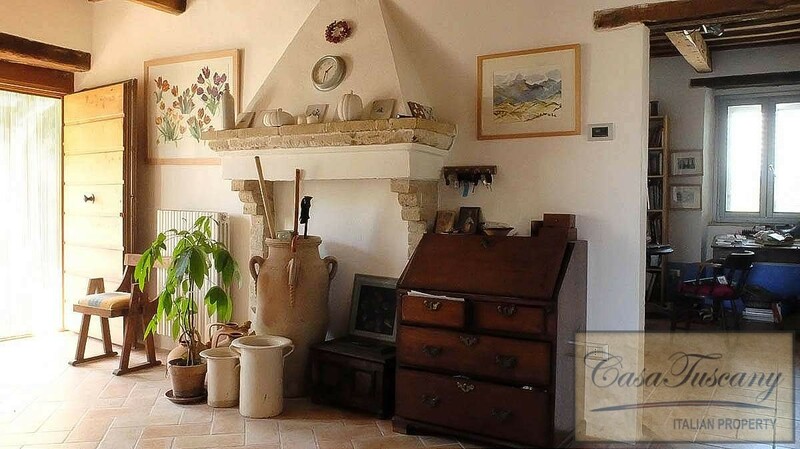 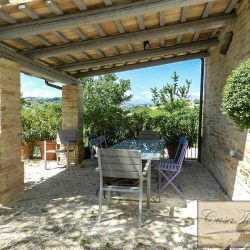 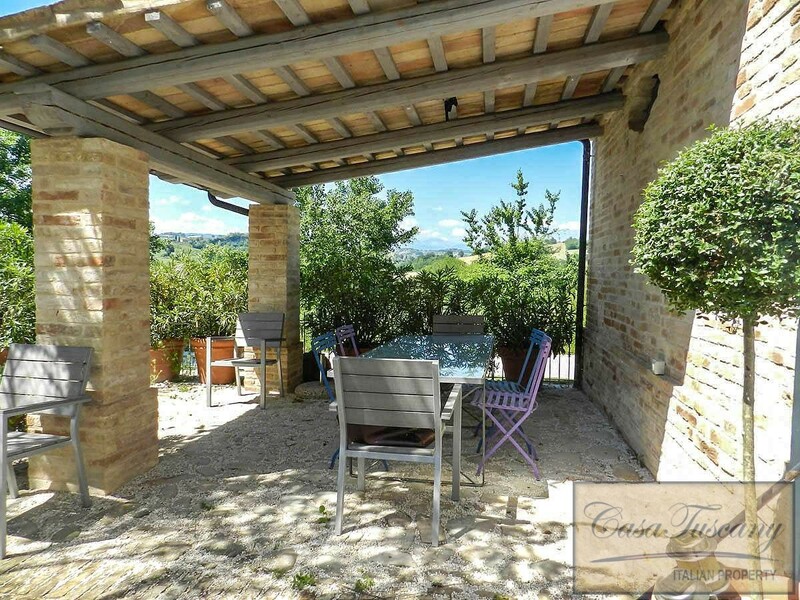 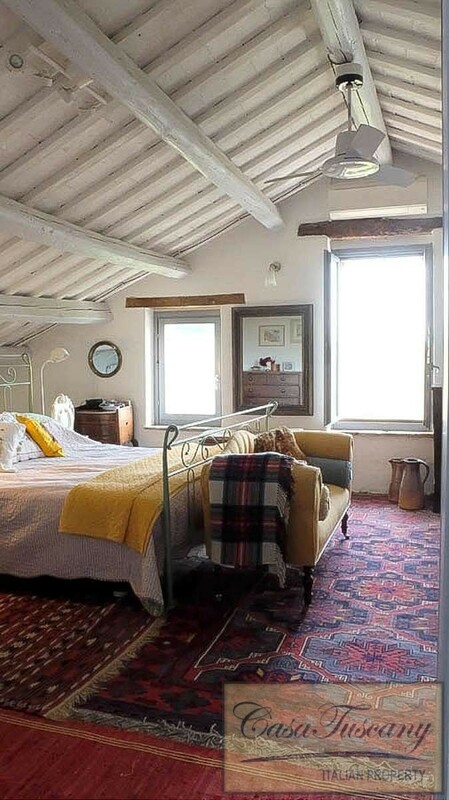 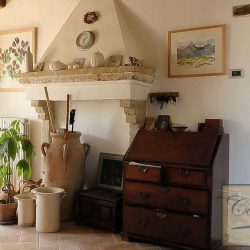 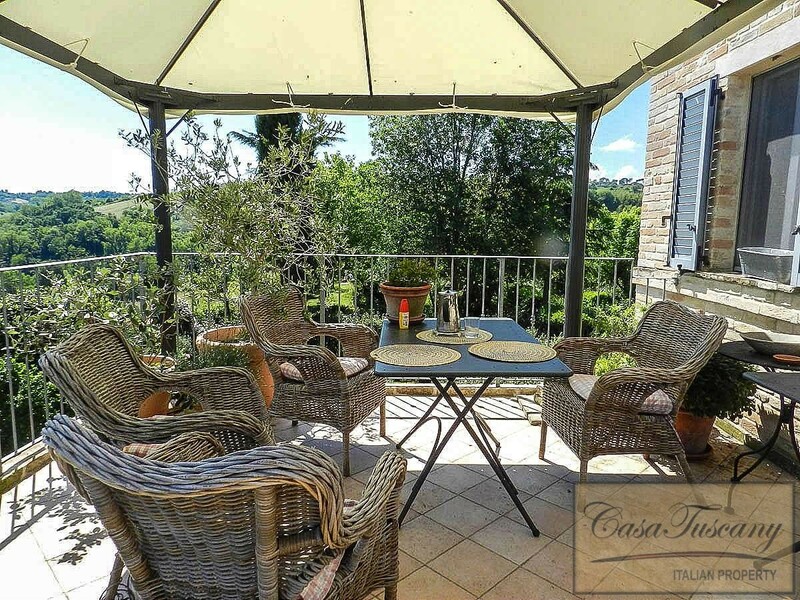 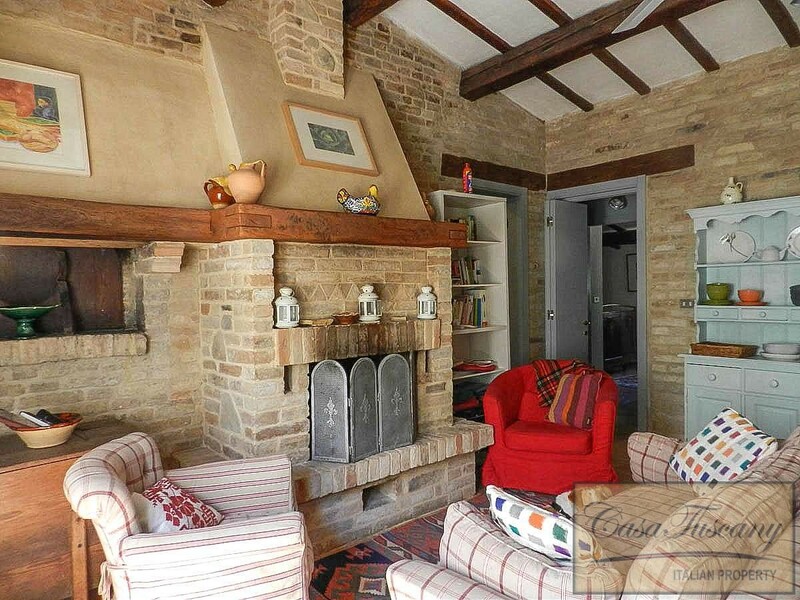 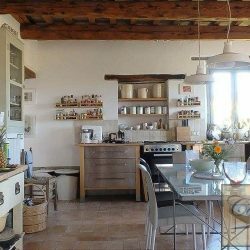 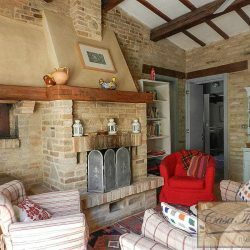 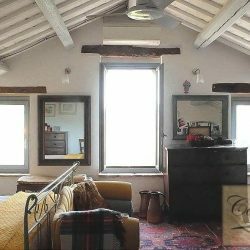 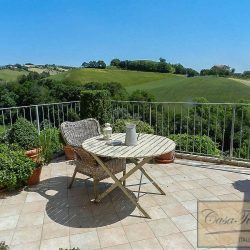 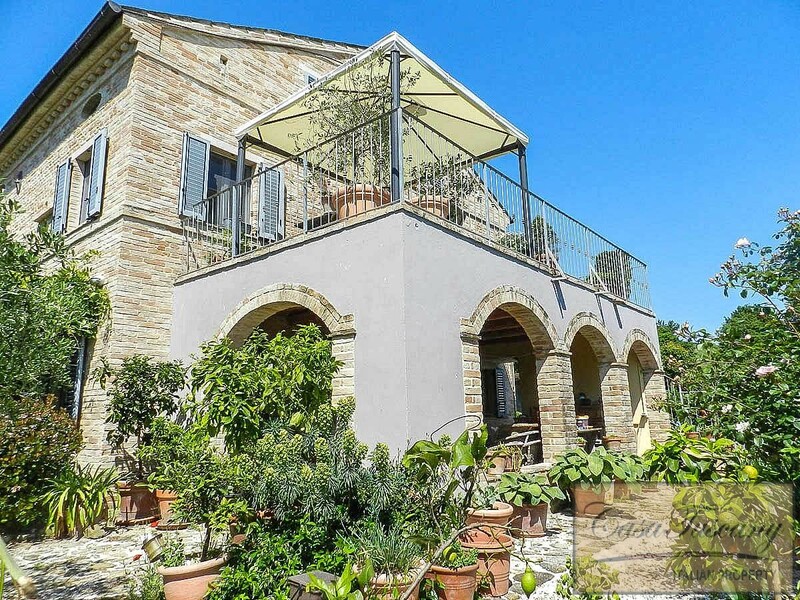 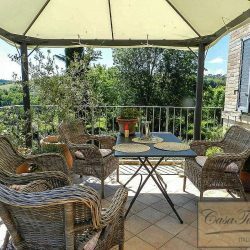 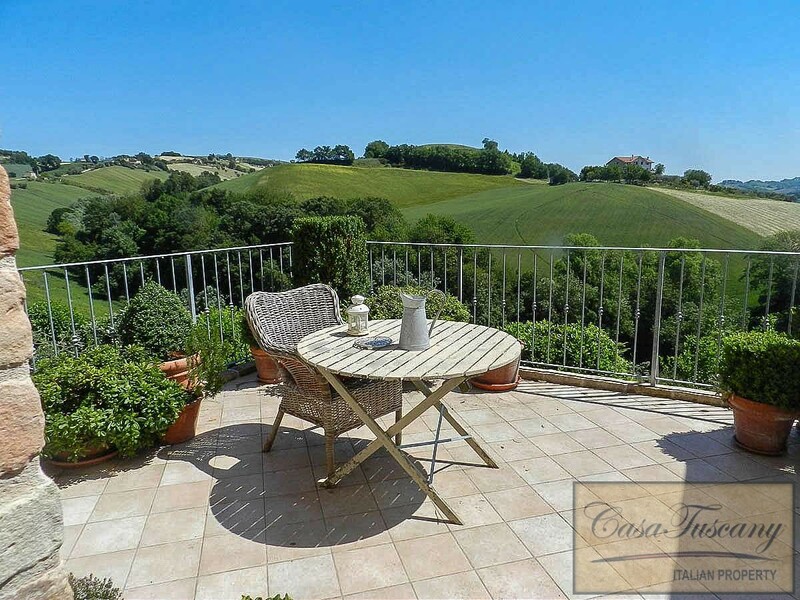 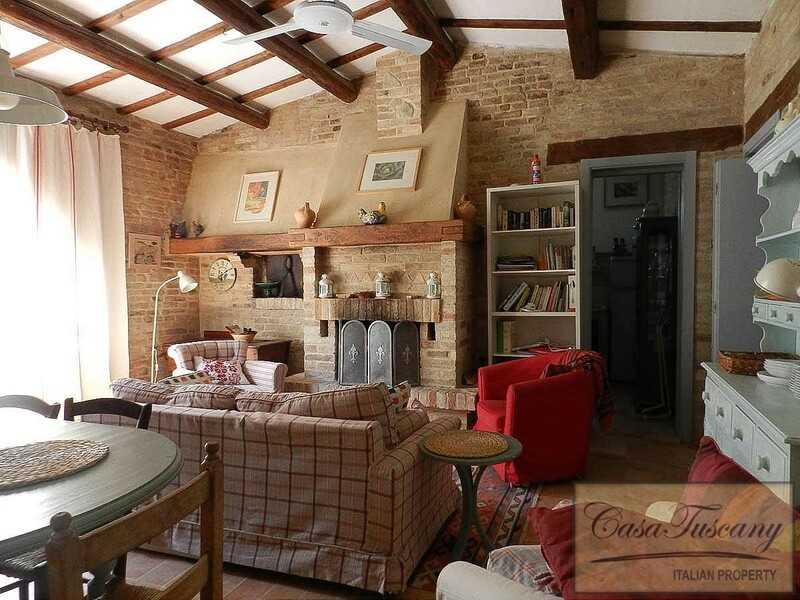 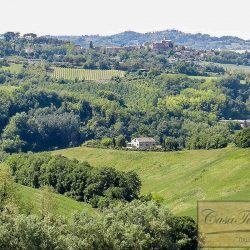 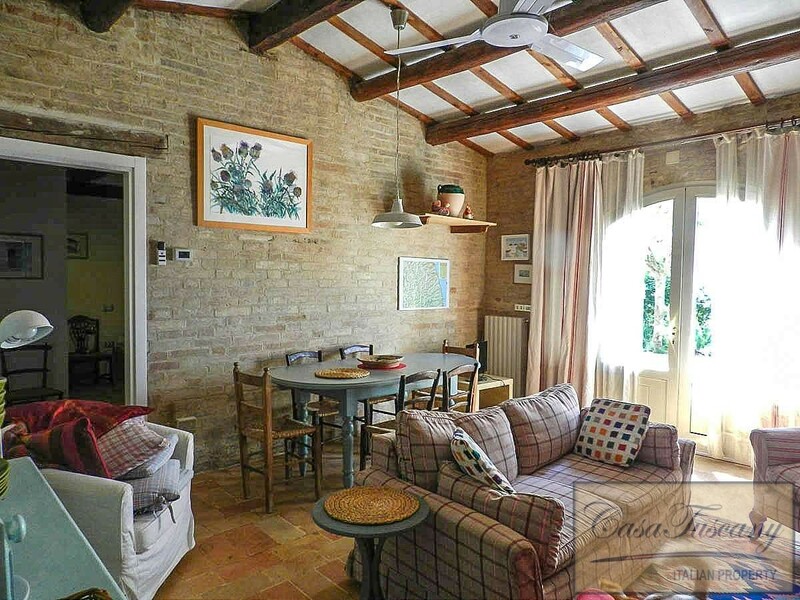 This tastefully restored farmhouse is located in the beautiful countryside of the Ete river valley, not far from historic Belmonte Piceno, a little town famous for its ancient Piceni settlements in the Marche province. 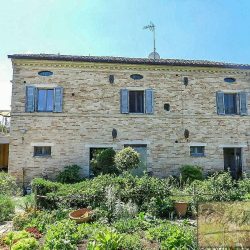 The property comprises a lovely 3 storey farmhouse of 500 sqm, with a 3 bedroom apartment on the ground floor and a 3 bedroom apartment on the first and second floors. 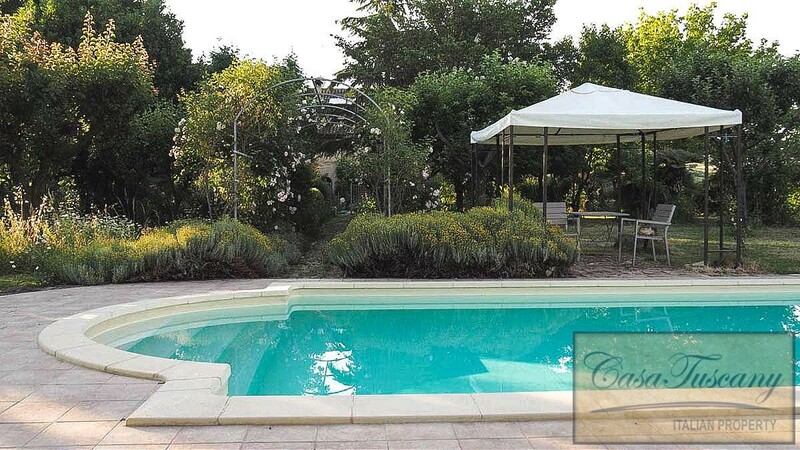 Surrounded by a beautiful garden of 2,800 sqm, full of roses, the property also has a delightful pool. 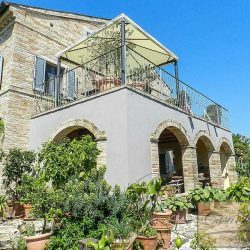 The house is fully restored with great taste, preserving the typical style of rural Marche architecture and in line with to the latest anti-seismic regulations. 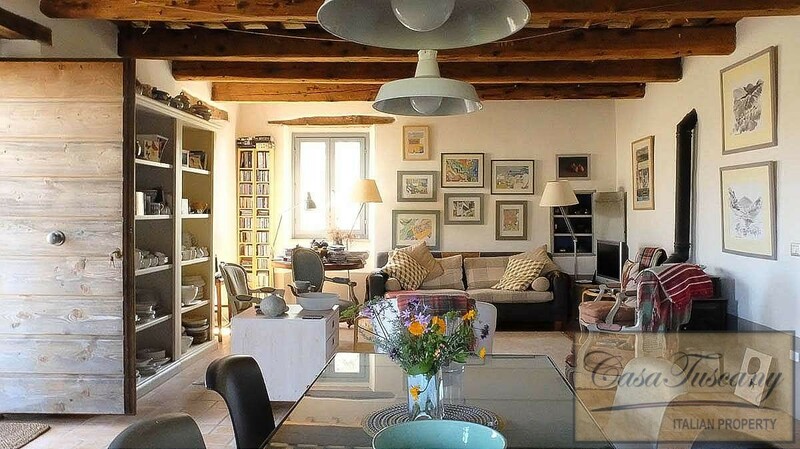 500 sqm on 3 storeys. 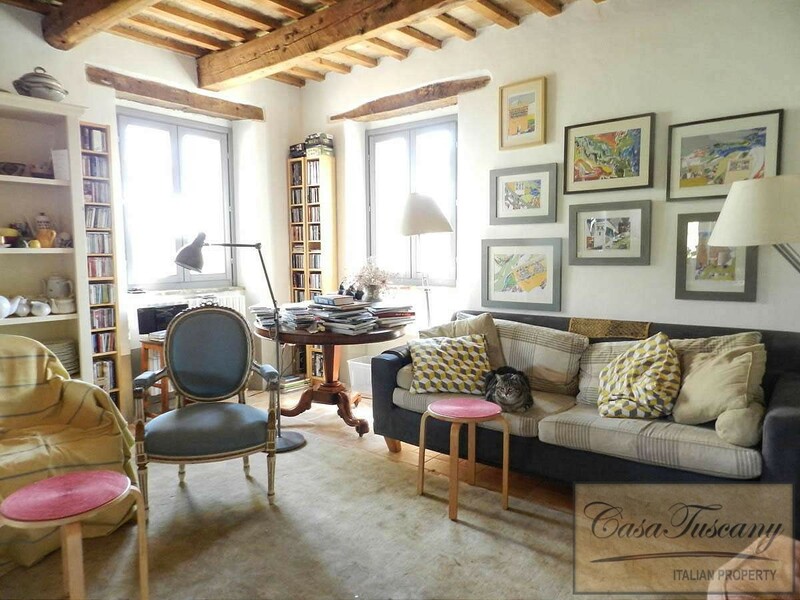 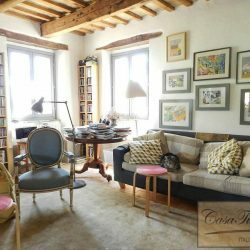 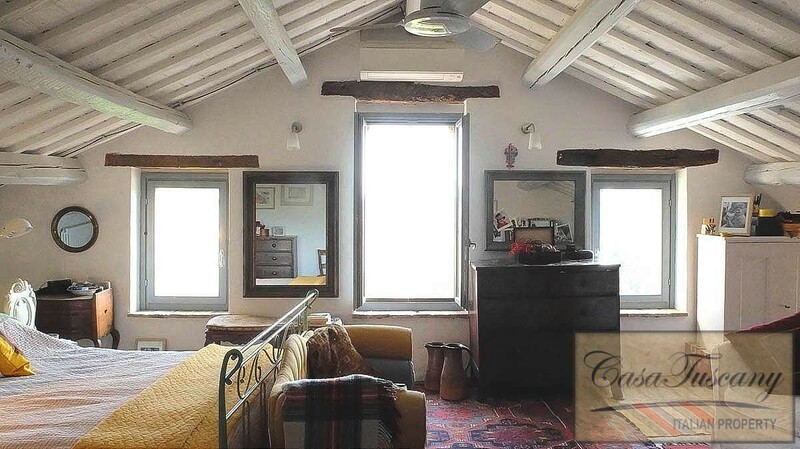 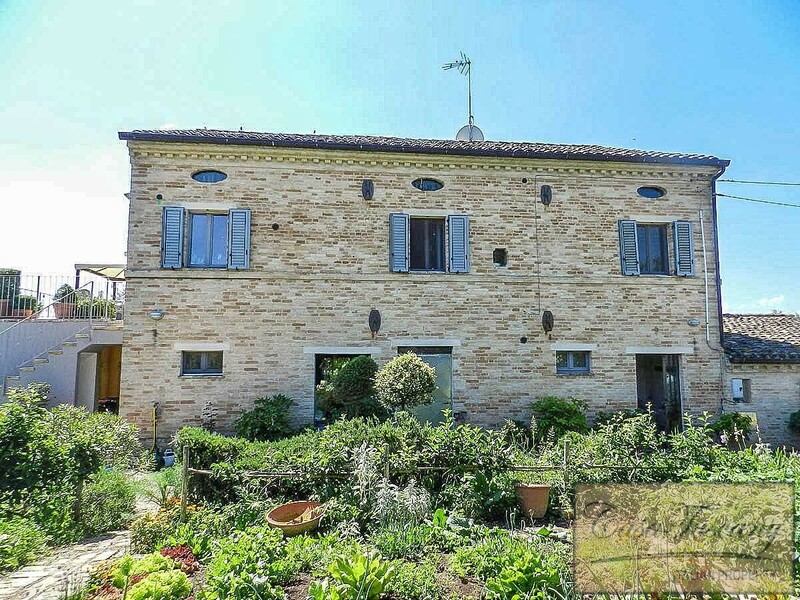 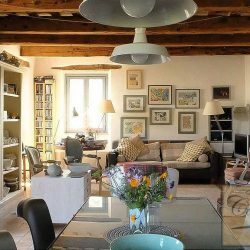 Ground Floor: Independent apartment with living room with fireplace, kitchen, 3 bedrooms (2 en-suite), bathroom, storage room/laundry, large room currently used as workshop, cellars, utility room, open loggia and another small loggia. 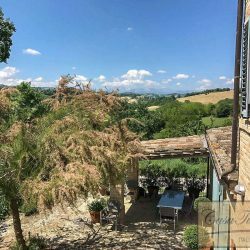 First Floor: Accessed via an external staircase, large living room with kitchen and dining area with access to panoramic terrace, second living room, bathroom and the larder. 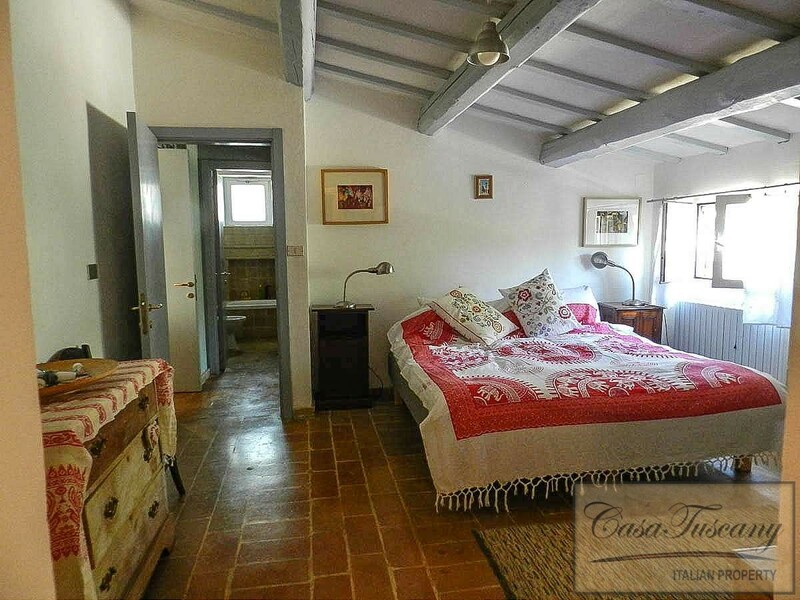 Second Floor: Master bedroom with en suite bathroom, 2 bedrooms and a bathroom. 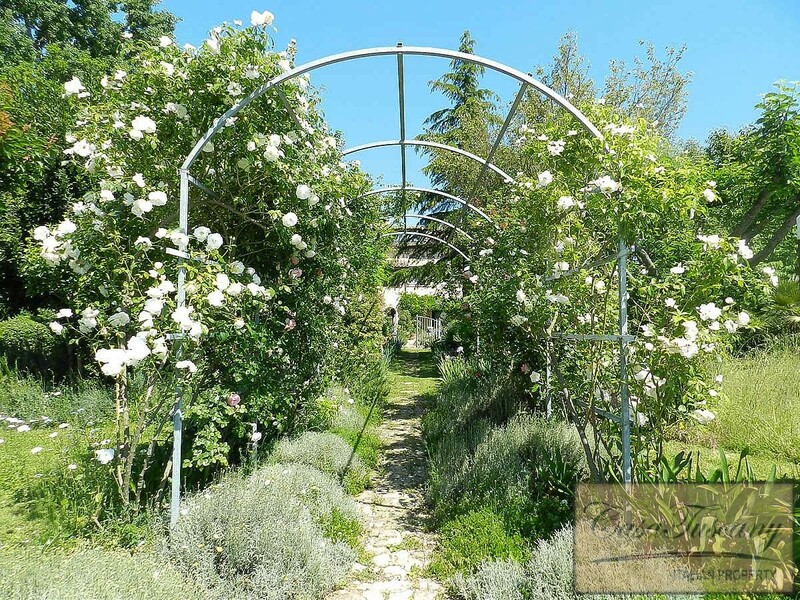 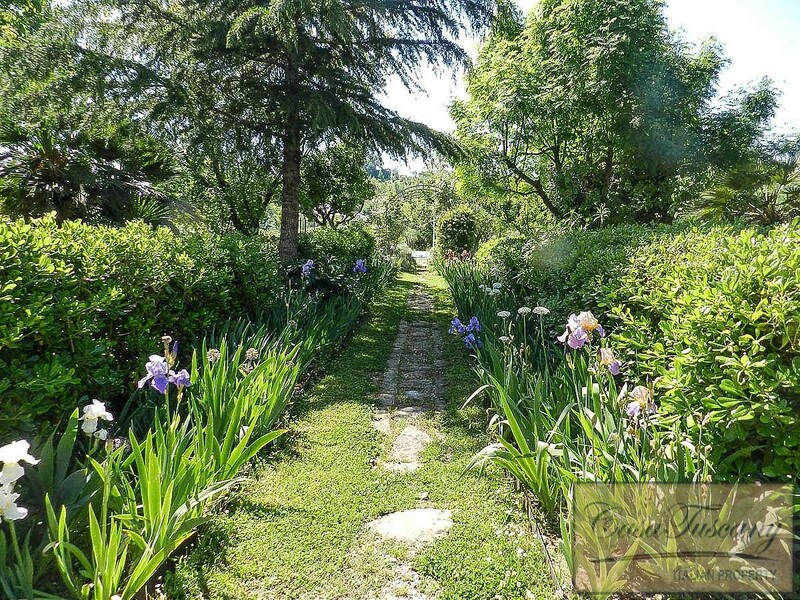 2,800 sqm garden beautifully planted with trees and flowers, including an abundance of roses and a vegetable garden. 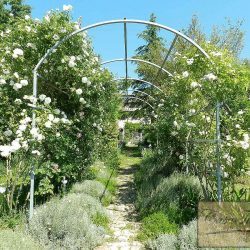 Lovely pool accessed via a path with a tunnel of climbing roses. 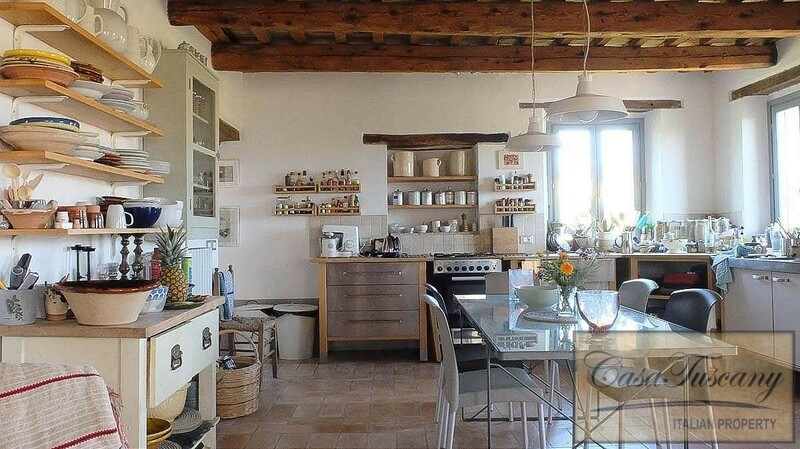 Electricity, water, heating, phone line, wi-fi, satellite TV connected. 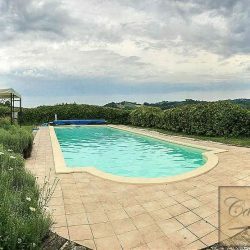 Fermo: 20 km, Beach Resorts: 25 km, Sibillini Mountains National Park: 25 km, Porto San Giorgio: 27 km, Offida: 33 km, Ascoli Piceno: 41 km, Ski Resorts: 45 km, Fiastra Lake: 50 km, Airport of Ancona-Falconara: 80 km.